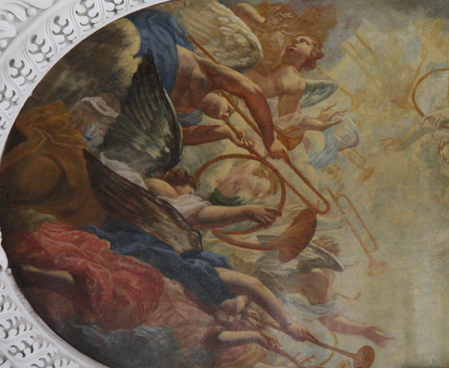 Just added the below image and entry to the Trombone History Timeline (18th century). Interesting visual perspective—and definitely an unorthodox grip if it’s a trombone. 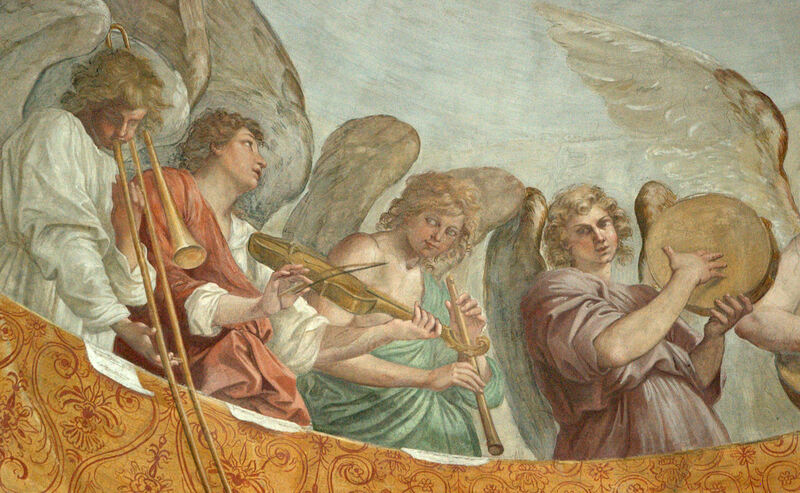 c. 1705—Irsee, Germany (near Kaufbeuren): A fresco by Magnus Remy (1674-1734) decorating the ceiling of Irsee Abbey features angels playing various brass instruments, including what appears to be a trombone (see below image; public domain).